This is an excellent publication, that correctly reviews the external environment associated with events, both in the context of the theoretical and operational' Neil Robinson, university of salford. 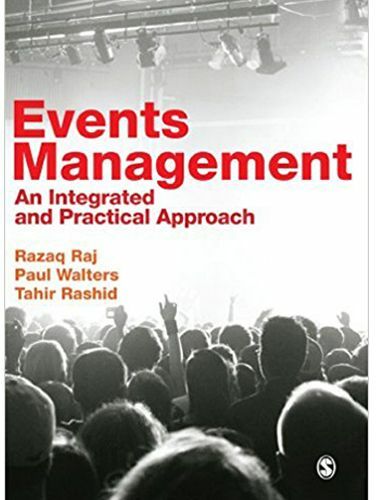 Guiding readers through the practicalities of events management, this book is the resource for understanding the many elements of working successfully in the events industry. Bridging the ever-widening gap between specialists, this book you will enable to be fully conversant with the application, theory, practicalities and value of events management essentials, including: equipment and design; planning; marketing and terminology; legislation; finance and budgeting; technology; sponsorship; logistics; and, the role of events tourism. Topics are brought to life through application to a range of events case studies, including live music venues, arenas, conference centers and community festivals.